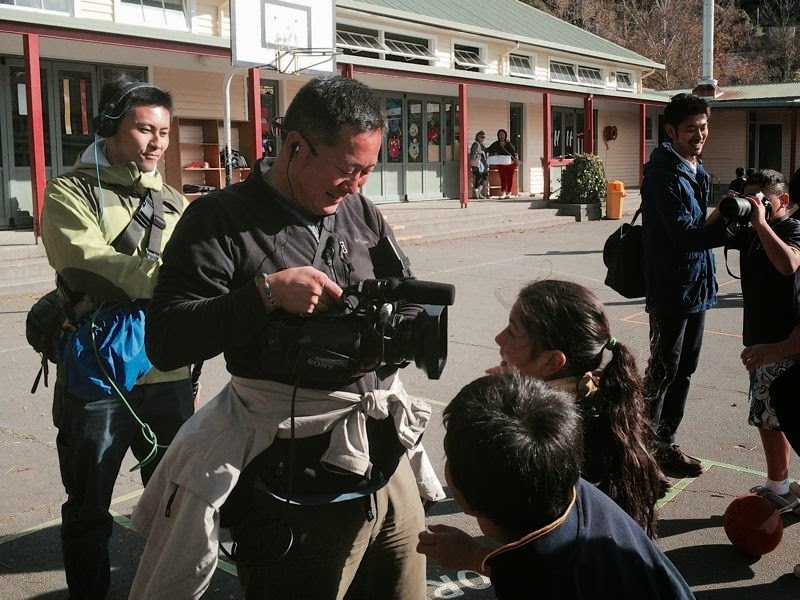 This week a Japanese film crew are filming at Victory Primary School. They are making a documentary about how Kiwis look after the environment. They have been filming in the Bilingual Unit and they interviewed Ariana and Eita. They asked what they did with their recycling at home and if they knew any Japanese films. They went into the recycling shed and they thought it was smelly but it was just the milk cartons!